I was raised in a semi-religious Baptist family. My father committed suicide when I was twenty, and I lost a daughter in infancy when I was twenty-two. My childhood was dark and lonely, and I became bitter after those back-to-back losses.I was never an atheist, but I’m not sure that I could’ve been more lost even if I had been. I made some good choices, and many bad ones, too. By the time I made it to forty, I found myself praying for someone to come into my life who would write to me – who would want to write to me. I didn’t specify what I wanted the person to write to me about; I just longed for contact, and an outlet that would allow me to get some of what was trapped inside of me out. Six months later, a new physician was hired in the emergency department I was working in (I am a registered nurse). A Catholic convert, he challenged me to a debate on a hot-button social issue via email, and slowly – and with patience that seems incredible to me now – began to introduce the Catholic faith. He recommended that I read books by men like Chesterton and Sheed and Lewis and Kreeft, and I did. His example is another part of what inspired me to do the prison work. Without him, I would know nothing of Catholicism. I am not sure how we expect anyone to know what no one has ever taken the time to share with them. 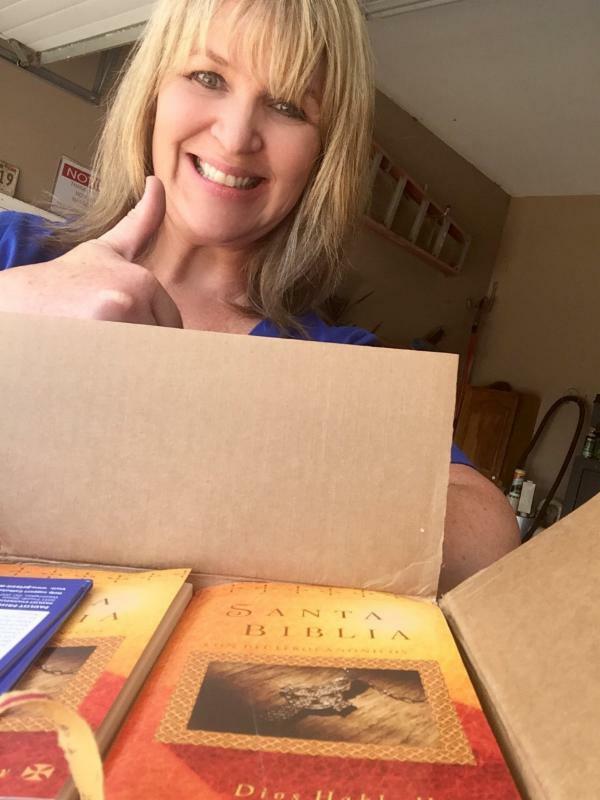 One last thing…I was thrilled to receive the Spanish bibles because there are a good many Hispanic inmates in the prison I go to, and the men tell me that they think they can get more of them to come to our services if we have more Spanish materials. Most are from Mexico and were raised in the Catholic Church. Many have fallen away from the Church, and many are pulled away by Protestant denominations who tell them that the Catholic Church isn’t authentically Christian. Even though many of these men were raised in the Church, most don’t know how to defend her. They are easily convinced that her teachings are wrong. These men are already Catholic, and they are slipping through our fingers! We need to be there for them, and we need materials that are easy for them to read and understand.